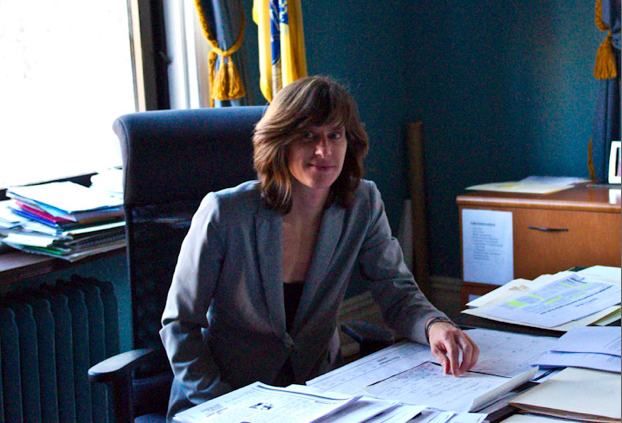 Back at the end of July in 2009, the newly Acting Mayor Dawn Zimmer took the reins of a city after its second in last three mayors had been arrested by the Feds for corruption. Without missing a beat, she immediately began changing the status quo of low expectations and let everyone know it wasn't going to be business as usual anymore. This was not sweet music to the Old Guard's ears. To them, this was nothing short of an act of war and they've acted hostilely seeking to hand the mayor and Hoboken a myriad of harm ever since. It's catalogued here on MSV over the last four years: a war by the Hoboken Sopranos against Hoboken people: unyielding, unashamed, unequivocal in seeking power by any means. Whether it's been leading the fight against broken developer agreements fending off the Monarch project in the absence of the ward's litigious councilwoman who ignored concerns from residents or fighting on behalf of the biggest employer in town (the hospital) to overturn what most everyone thought was its inevitable closing or visiting residents after Hurricane Sandy in unexpected places such as the dark hallways of Church Towers - Mayor Dawn Zimmer has shown a remarkable resilient spirit to fight for all of Hoboken. Tonight Mayor Dawn Zimmer makes it official launching her bid to continue Hoboken in a positive direction - to make Hoboken not a negative focus of attention but a first class city where innovation and government work hand in hand to deliver national and international solutions be it the overwhelmingly successful Hertz Connect Corner Cars Program to newly crafted engineering solutions in protecting the City's electrical grid in the event of a major storm or hurricane. She's acted on all those fronts while keeping an eye toward reducing spending in the millions and cutting taxes every year she's had her hand on the controls of the budget. In doing so, the mayor's worked with everyone from citizen voices regularly in open meetings across town to forging a positive working relationship with Governor Christie and even President Obama. She's put Hoboken on the map as a can do City where professionalism begins with the word go and action is the watch word. Hoboken's success in the face of overwhelming challenges is no accident. It's come with fortitude, leadership and a true Vision for Hoboken with a team of professionals who have worked well to bring positive change to Hoboken and a reform oriented City Council majority which worked with her to get things done. Tonight's the night Mayor Dawn Zimmer begins the next chapter toward Hoboken's future officially announcing her campaign with a tested, respected council at-large slate in Dave Mello, Ravi Bhalla and Jim Doyle. 6:00 PM at Little Town - Kickoff of Mayor Dawn Zimmer's re-election campaign and council slate. with her three at-large council slate colleagues at Little Town tonight. Talking Ed Note: This has been a grass roots, on the ground citizens effort from the start. Nothing changes tonight, Hoboken gets to speak, be heard and do it all over again. See you there. Ramos campaign: Welcome aboard mayor; let's play!